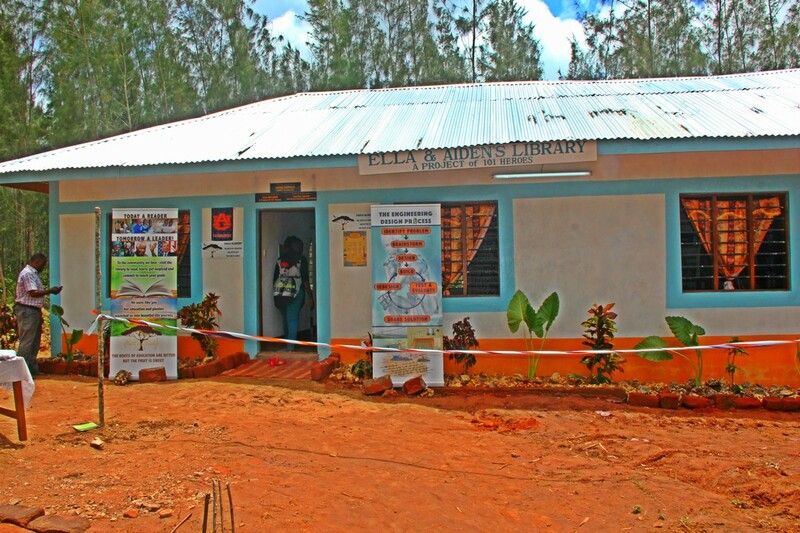 Faulu Academy and the entire community including many primary and high schools in Kwale County have no libraries. The end result is the lack of a reading culture among students, youth, and the community at large. There was a GREAT need for a library that would be accessible to primary and high school students, their teachers and community members. Create the culture of reading in the community. Engage students at their free time through reading in the library. Create a space where students and community members can gather to explore, interact, imagine, and quench their thirst for knowledge. Avail books and other inspiration materials that may ignite young minds and inspire them to reach for their stars. Support learning in schools and allow all types of users to acquire knowledge while supporting them to meet their information needs. Growing up, Dr. Ngumbi had a passion for the written word. She read everything she could and the world opened up for her. By the time she was studying for her PhD, she was determined to return knowledge to her community however possible. 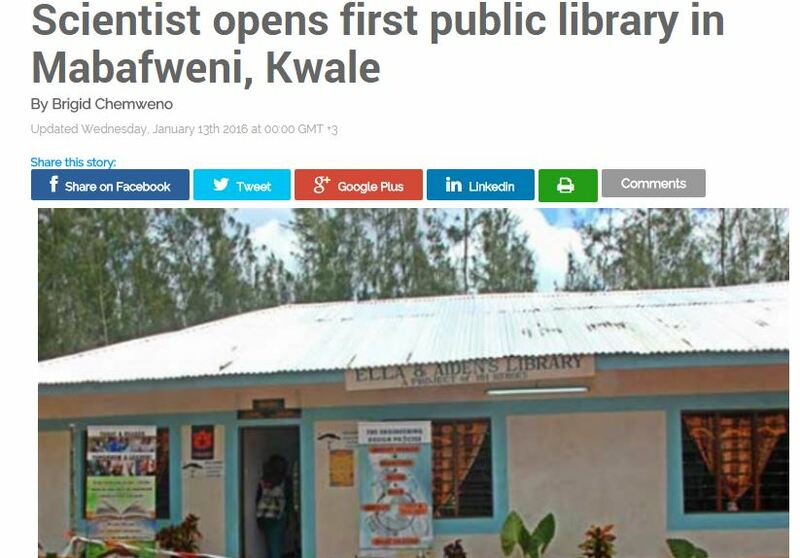 She decided to start a library-the first-in her home town. Dr. Ngumbi still remembers her trip to Kenya in 2010. She was set to meet with university and high school students to tell them about her studies in America and was determined to carry on materials (books, magazines, inspiring stories of young people who are making headway's in their careers, articles - anything that would set the curiosity of the young Kenyan minds up; anything that would inspire someone to rise up and discover their talents and then run with them; anything that would make a young mind reawaken their dreams to reach their stars, and I mean ANYTHING). To get her collection, she visited several Auburn University departments including Alabama Cooperative Extension System, Women in Science and Engineering, and Graduate School. At the end, she had 40 pounds worth of printed materials. It was going to get back to Kenya come rain or sunshine! She was supa excited! On the day of her trip to Kenya, she prepared to travel with 40 pounds of books in her suitcases. But when she got to the Delta counter and her suitcases hit the scale, she was 40 pounds overweight. They told her to get rid of her luggage. There was no way she would throw those books! So she repacked the excess weight into her hand luggage. Hooray! The trouble was over now and she happily boarded the flight, hoisting 70 pounds worth of hand luggage. But her trip wasn’t over. Thinking quickly, she decided to ask other passengers to add books to their own hand luggage. 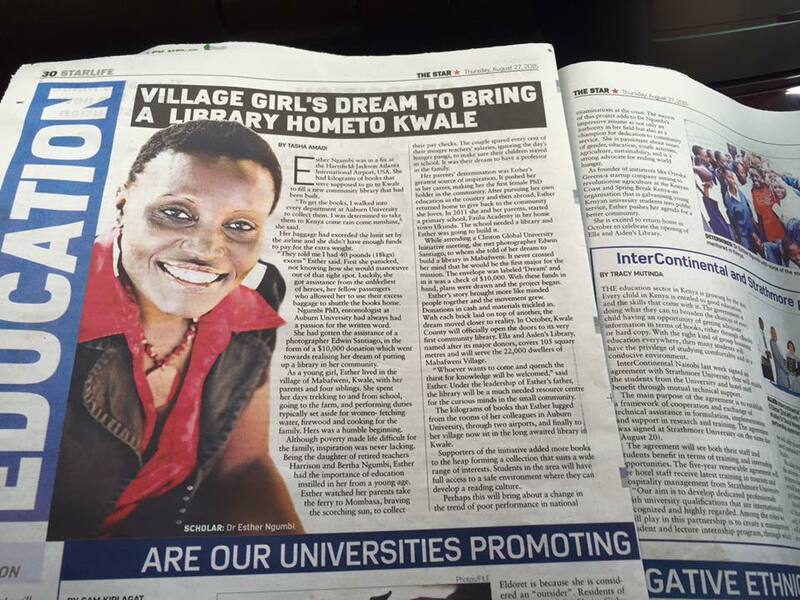 She told them she was a student, could not pay fees for the extra weight, and that the books were meant to inspire young Kenyan students. Some passengers agreed, others refused, some just stared at her blankly. CRAZY KENYAN LADY! ​Suddenly, a group of 20 young athletes showed up, and they took up most of the slack. But still, she was five pounds over, and the gate steward told her to pay up or leave. Looking hard at him, she told him that if he believes in education for women, if he believes in inspiring young people, then he would let her board the flight. She was the last person to board, almost 15 minutes late. And so, she managed to carry all the materials intended for the Kenyan students. For the love of our Young Kenyans, She is indeed prepared to do everything and anything until it comes to a sweet end! 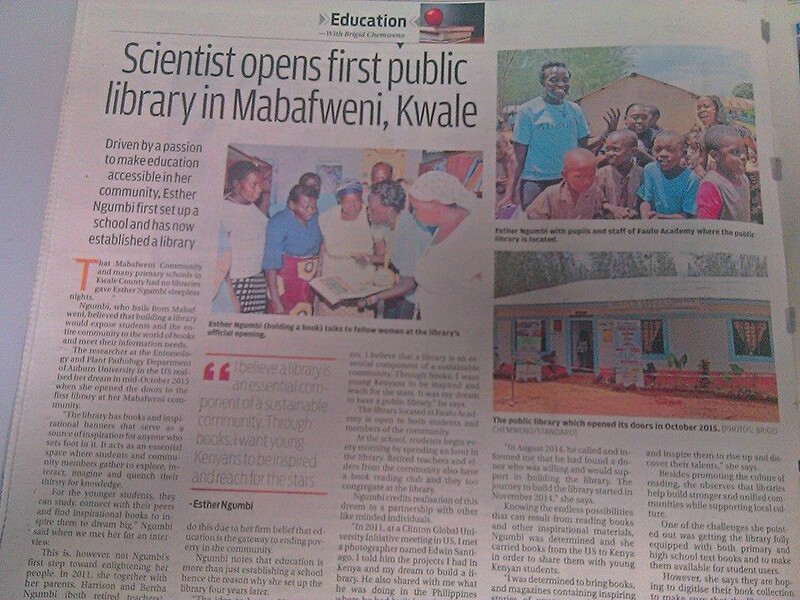 In the Spring of 2014, a supporter stepped forward to donate $10,000 to help build the Library Dr.Ngumbi had dreamed about and wanted to build for her community. The doors opened on October 12 2015. The library has all books including a section dedicated to Agriculture and Science. The library is open to students and community members who can come in to read, quench their thirst for knowledge and catch up with the latest agricultural technologies.